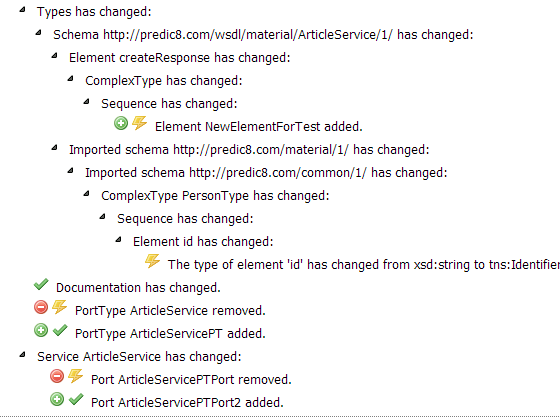 Your session has expired. Please Sign Up. As a registered user you can access your uploaded WSDL documents any time. 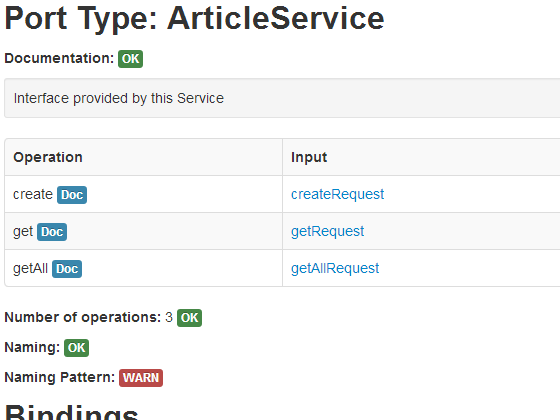 Get online WSDL reports and usage statistics for free. Note! Your uploaded documents will not be visible on the internet. 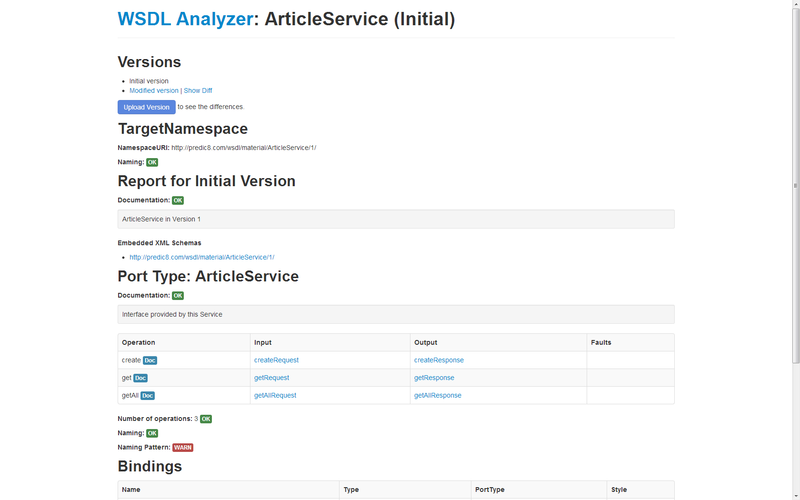 The screenshot shows an excerpt of an Analyze WSDL report. 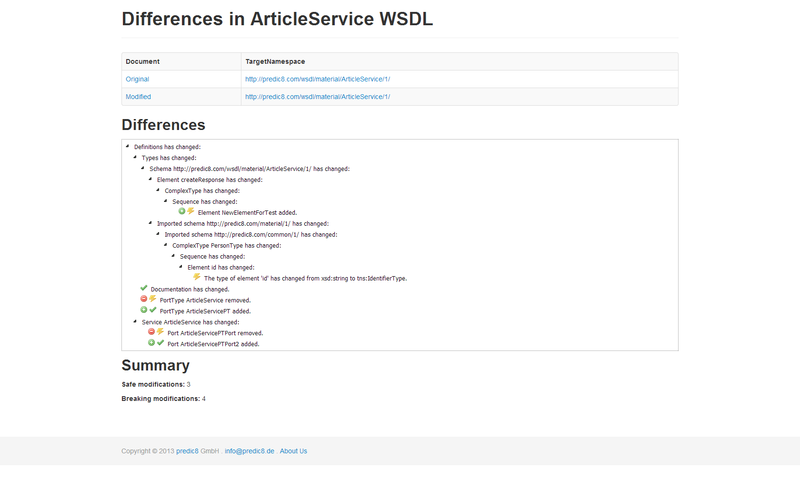 The screenshot shows an excerpt of a WSDL Diff report.